Is your Mom fond of her morning tea? Does she savor the first tea of the morning with special tea leaves that’s imported? 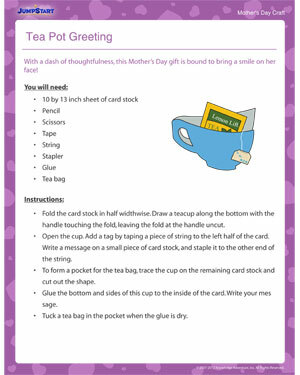 If her morning tea is her poison, then you’ll spoil her silly with this fun Mother’s Day craft. Follow the instructions and make her a tuck-sack for her special tea bag.